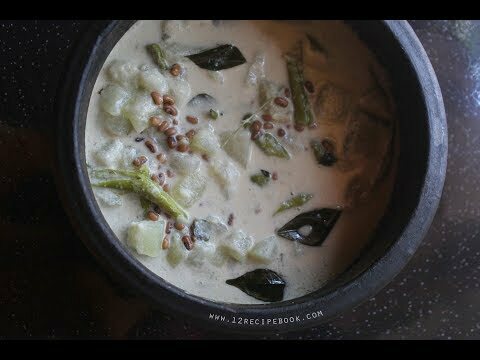 Check out the video of making Olan to ease your cooking. Also please don't forget to subscribe my You Tube channel: 12recipebook. 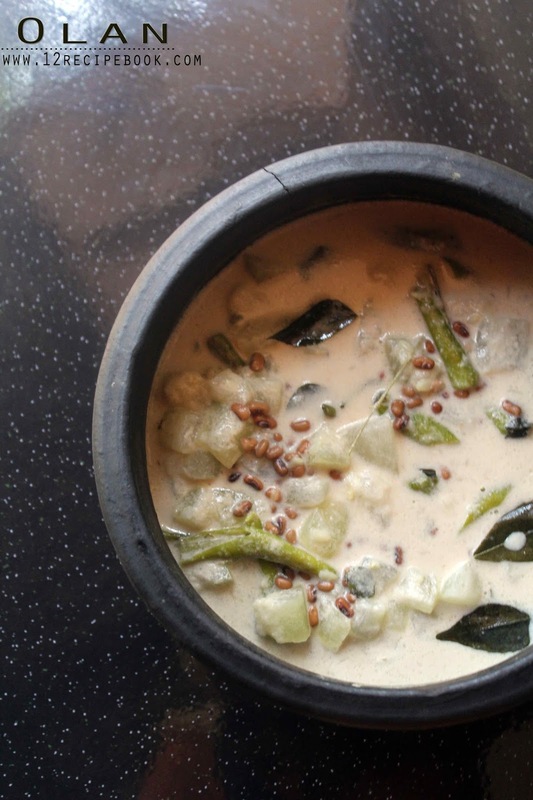 Olan is a traditional Kerala Onam sadhya recipe. 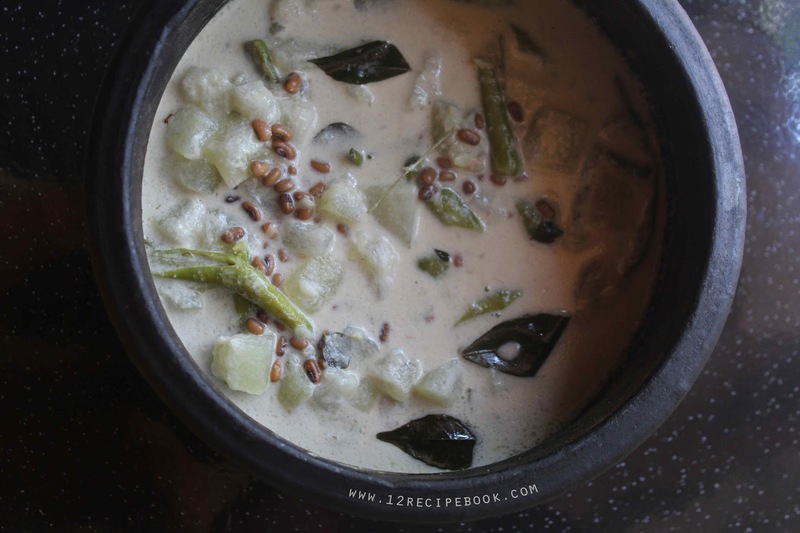 it is simple easy to make and have a yummy aromatic flavor of coconut milk.Try this healthy and delicious stew and serve with hot steamed rice. Soak the beans in water for 4 hours. Pressure cook the beans with little water for 2 whistles on medium flame and drain it; keep aside. In a pan cook together ash guord, green chilly, salt and a cup of water. Cook until the ashgourd becomes tender and cooked. Add the cooked beans, thick coconut milk and curry leaves. Mix well and cook on low flame for about 5 minutes. Turn off heat by sprinkling coconut oil on top..
Cover the lid of the pan and serve the curry after 10-15 minutes. Serve with steamed rice and enjoy!! !